Home IT Latest News Mango Microsoft A Mango Makeover by Microsoft was revealed-over 500 new features! 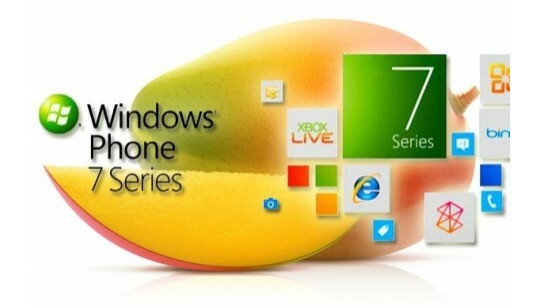 A Mango Makeover by Microsoft was revealed-over 500 new features! Microsoft announced its ‘Mango’ update for its Windows smartphone which will provide 500 new exciting features including IE 9. The software giant hopes that the release will allow them to gain some ground on the like of Apple and Google in the smartphone market, in which it currently possesses a mere 4% share. Andy Lees, President of Microsoft's mobile communications division, stated "Seven months ago we started our mission to make smartphones smarter and easier for people to do more," He further added "With Mango, Windows Phone take a major step forward in redefining how people communicate and use apps and the internet,"
The latest update is focused on the integration of various social interaction tools into a single window. In addition the update will off a single inbox that allows users to access email from multiple addresses. Deeper social integration means that users can many apps can be applied into core functions. Ensuring that information is shared across functions and importantly is available in real-time. The update is expected to be available this later this year.